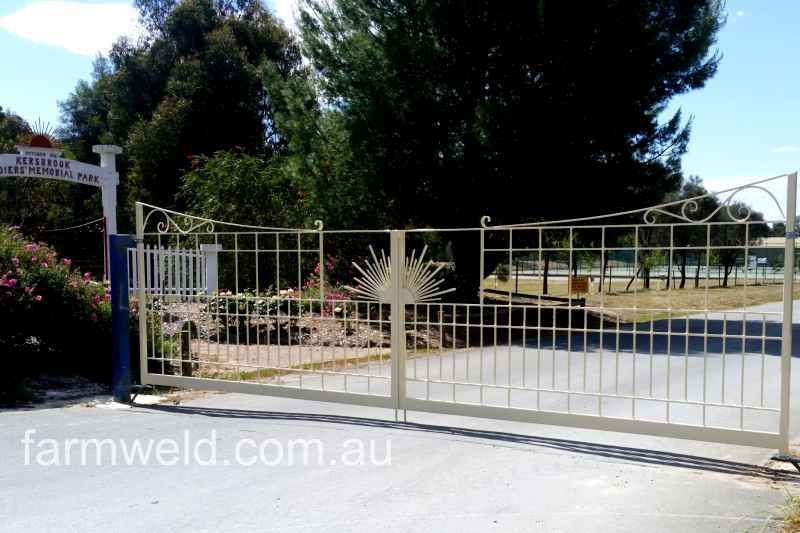 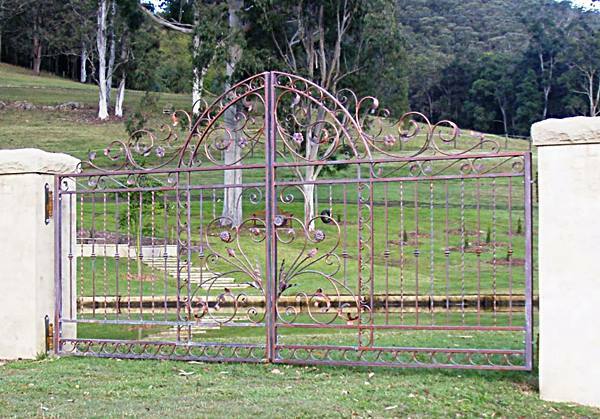 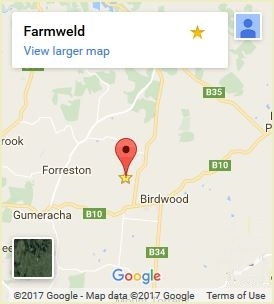 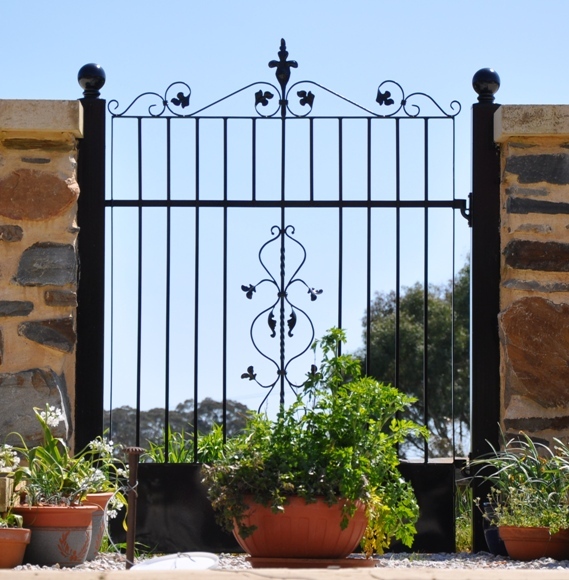 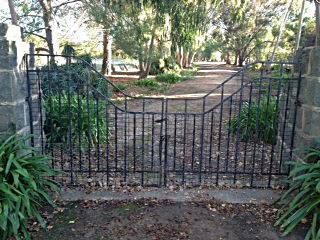 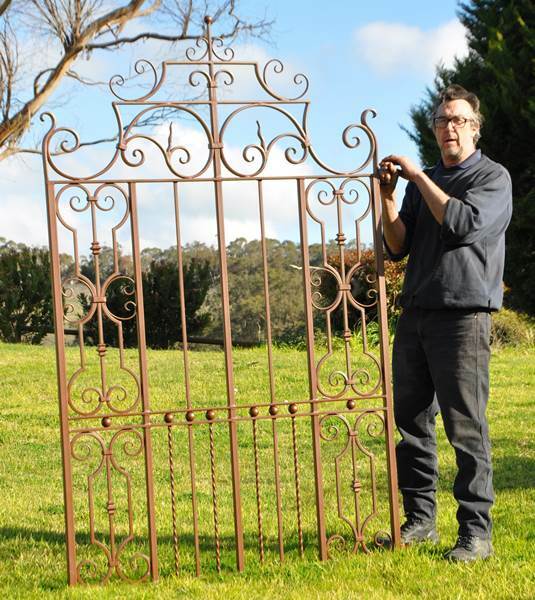 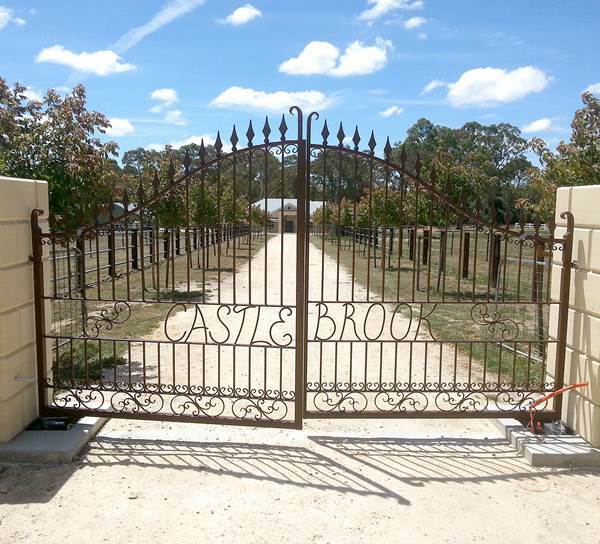 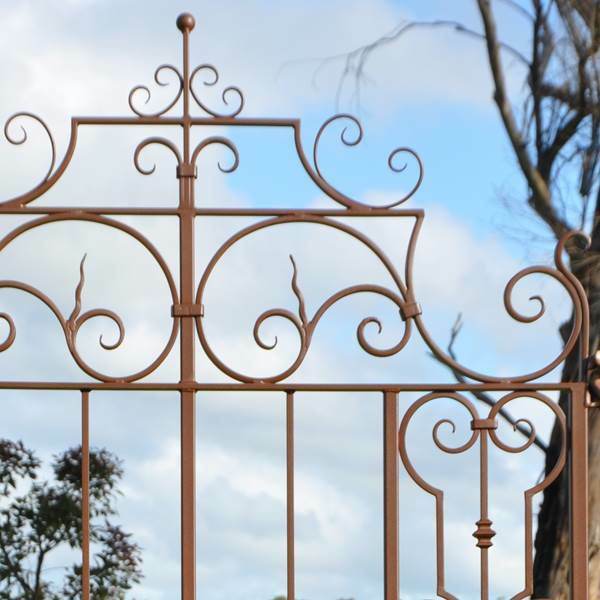 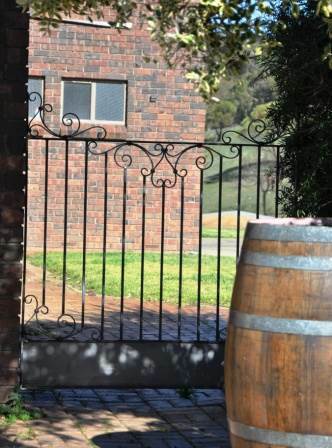 Blacksmith Andrew Hood, custom makes every wrought iron gate in our Adelaide Hills workshop. 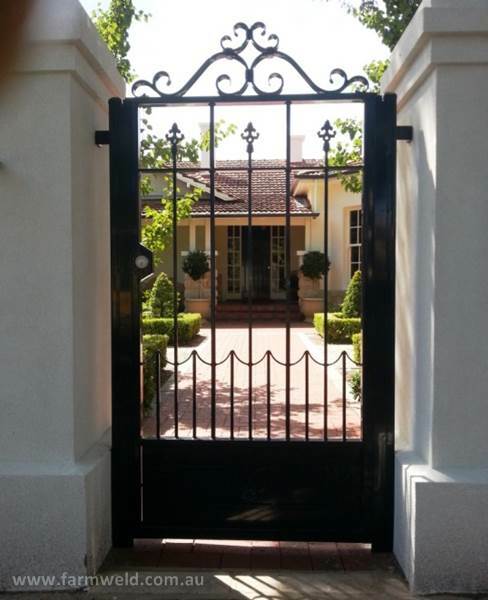 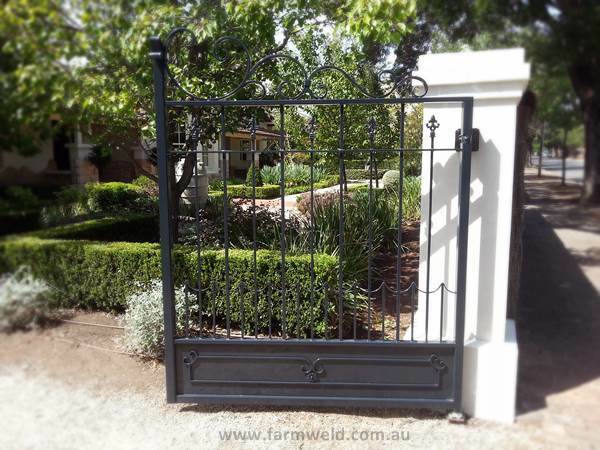 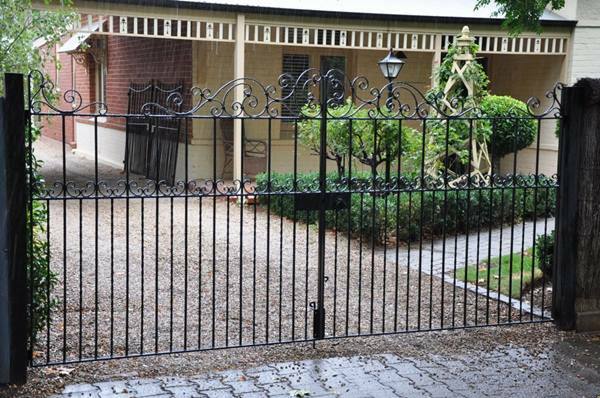 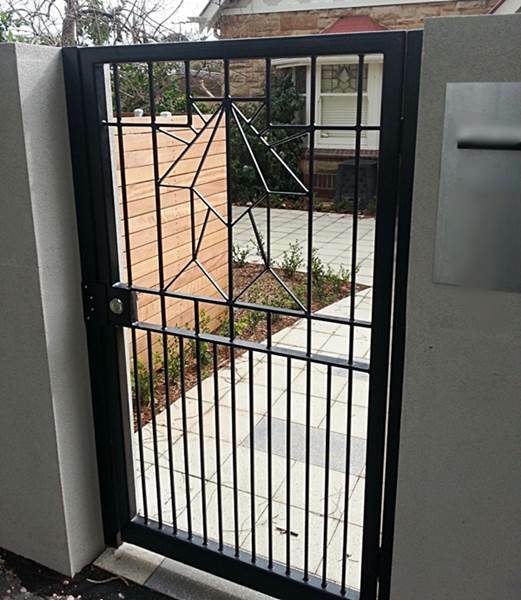 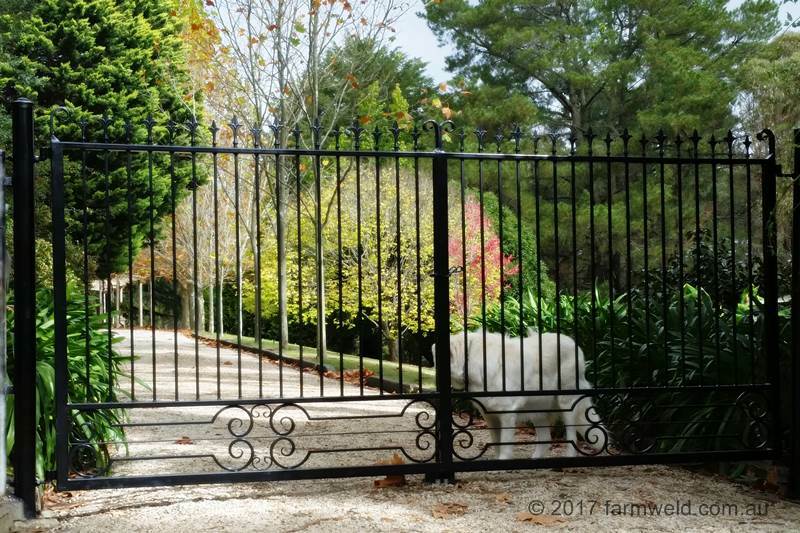 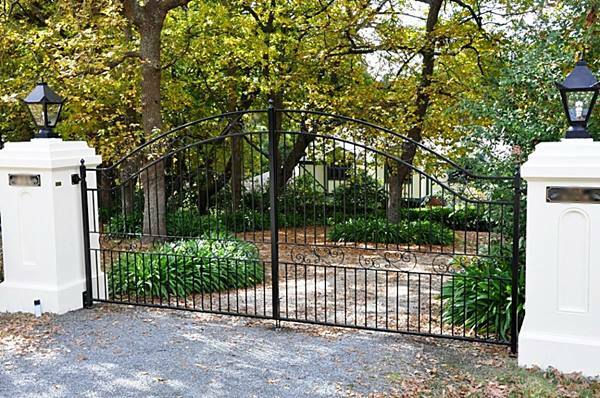 Most wrought iron gates are unique as the design is changed to balance with the height and length of each gate, be it for a driveway gate, garden entrance or courtyard gate. 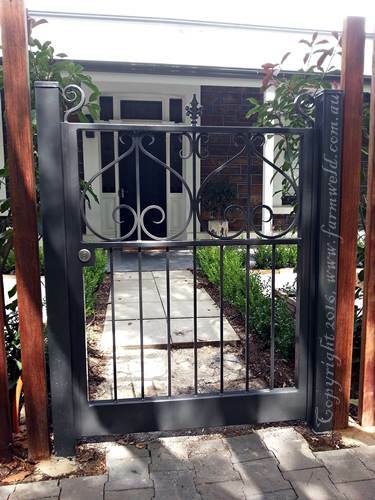 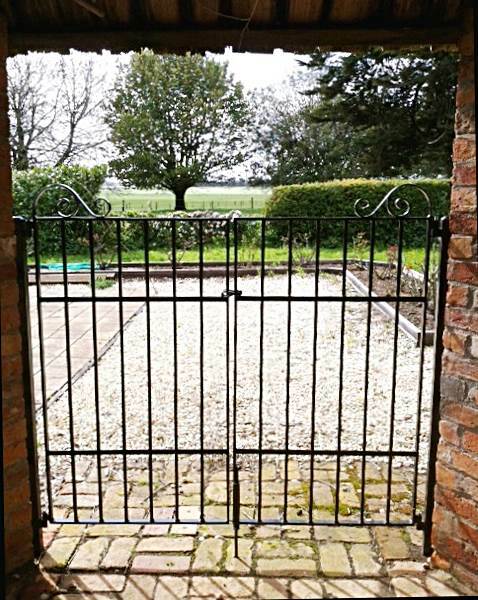 Because every gateway is different we don’t have ‘standard designs’ or sizes when working with wrought iron. 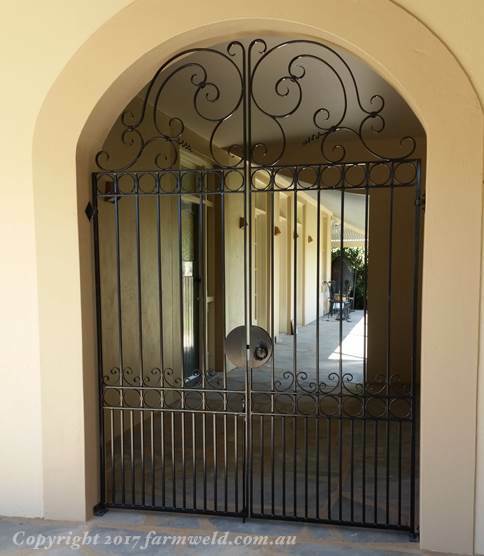 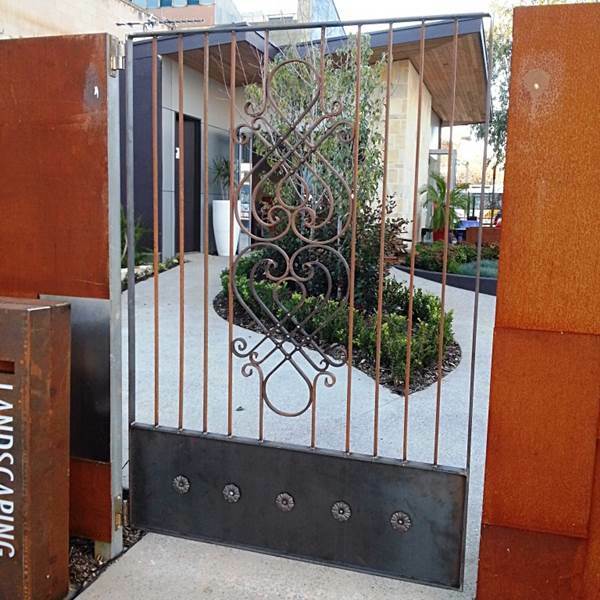 We can make a wrought iron gate to your design, or work with you to design something truly unique. 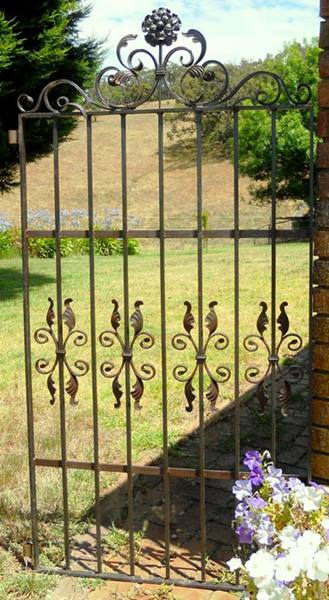 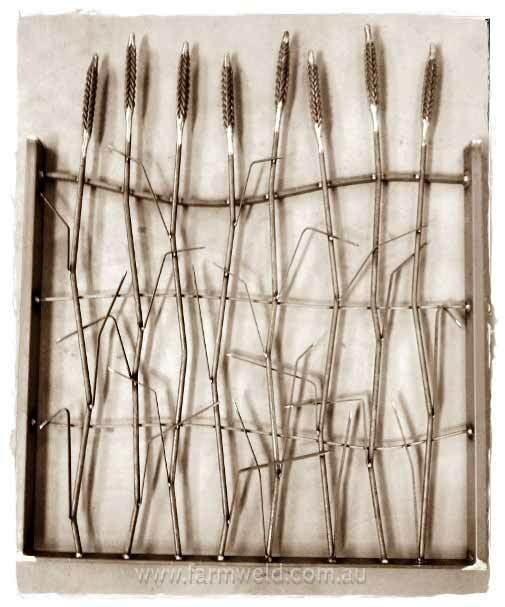 Designs can be traditional, like old style wrought iron gates from the Victorian or Art Nouveau period, or if your home is more modern we can create a contemporary wrought iron design to suit, maybe even with an organic theme incorporating bulrushes or wheat heads. 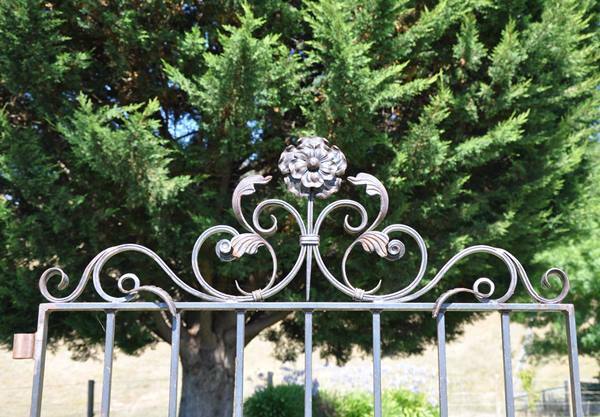 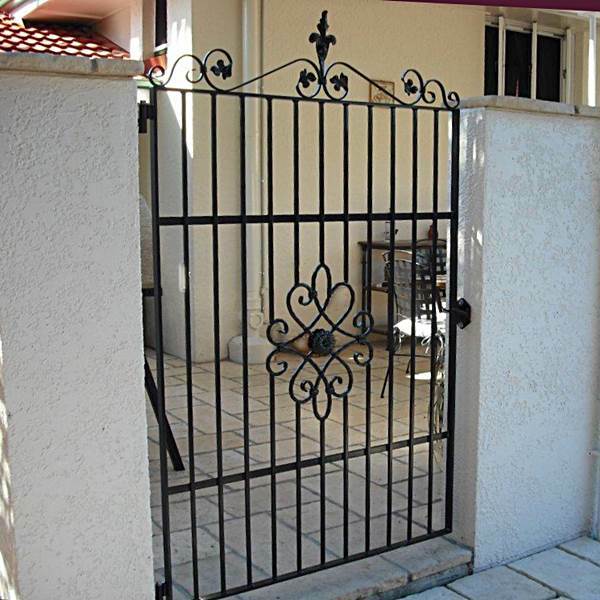 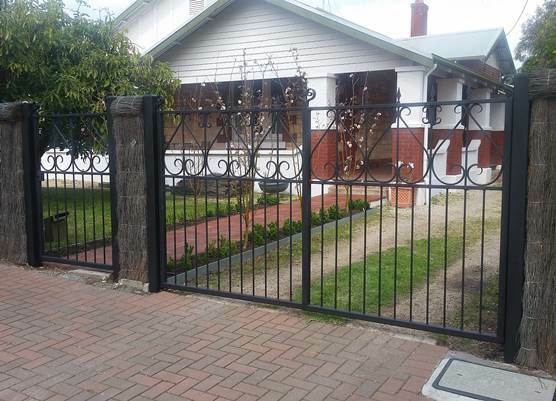 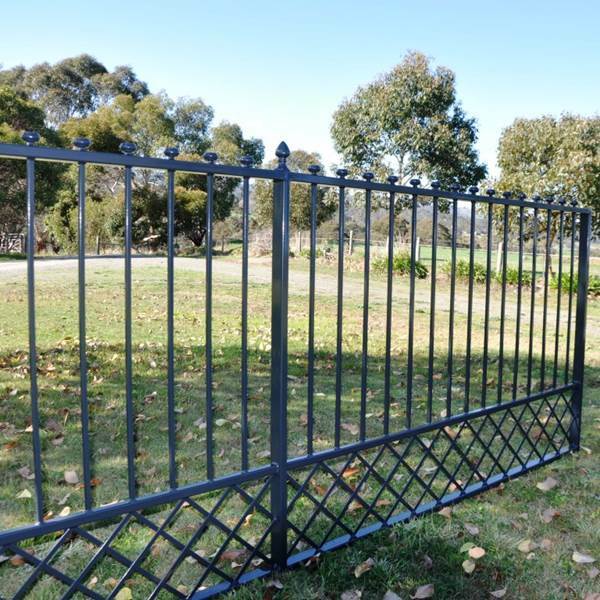 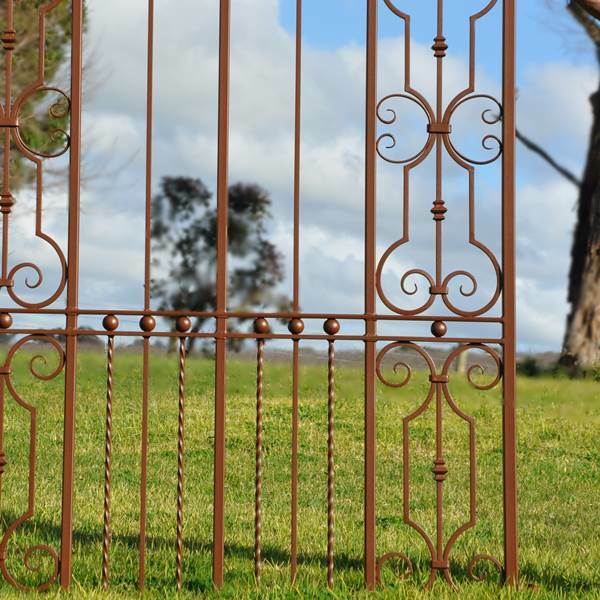 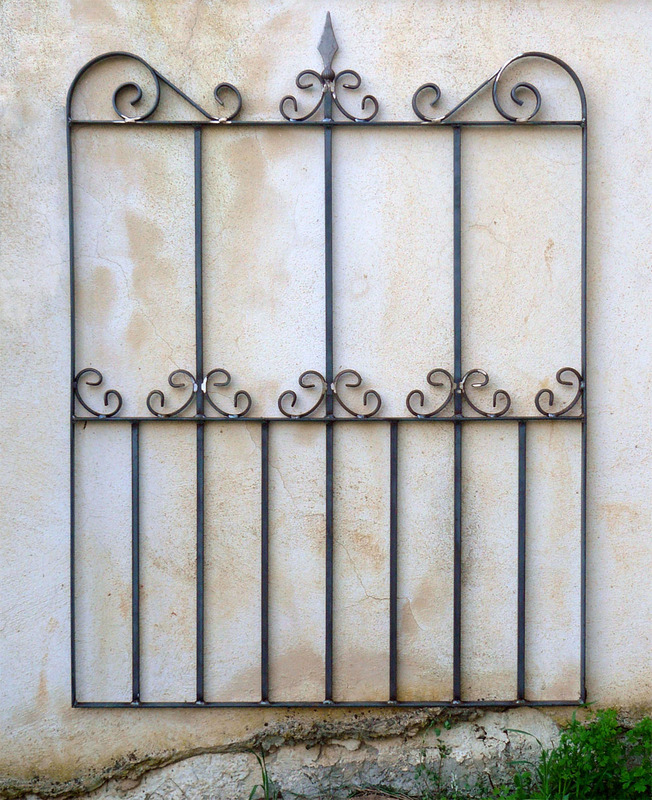 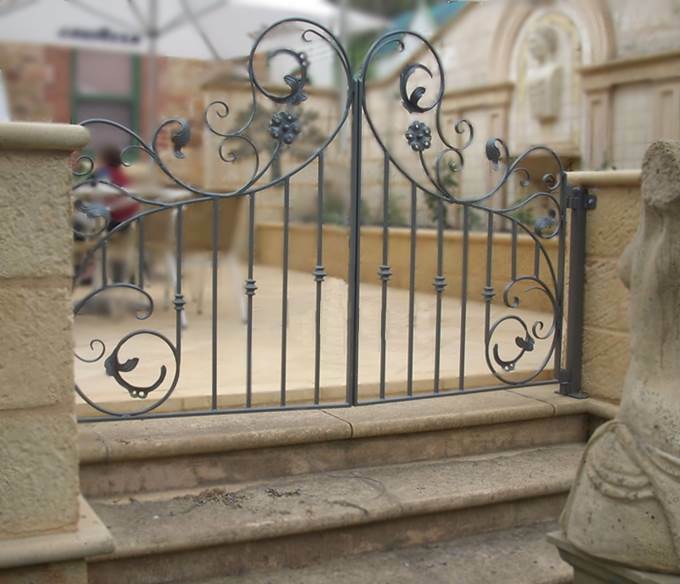 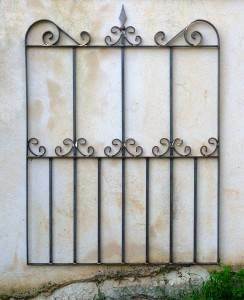 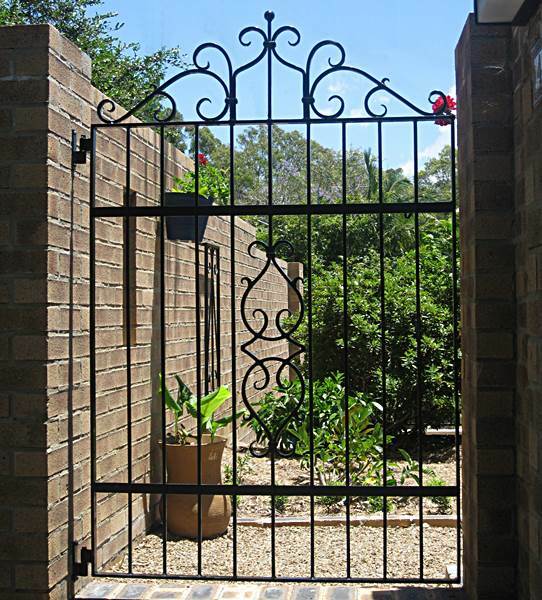 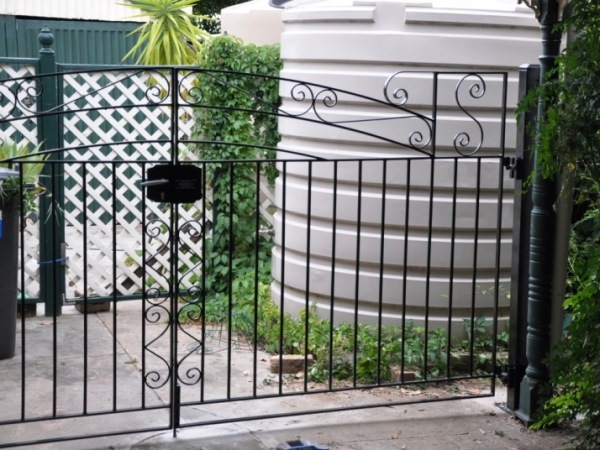 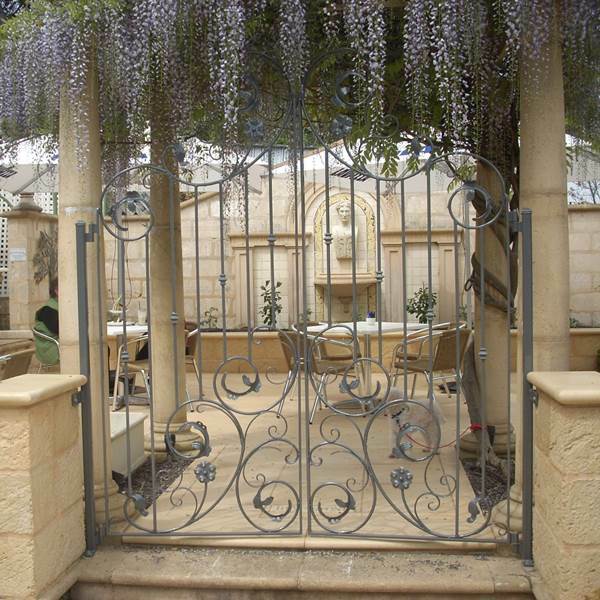 Wrought iron designs can be as complex or simple as you like so we can tailor to your budget. 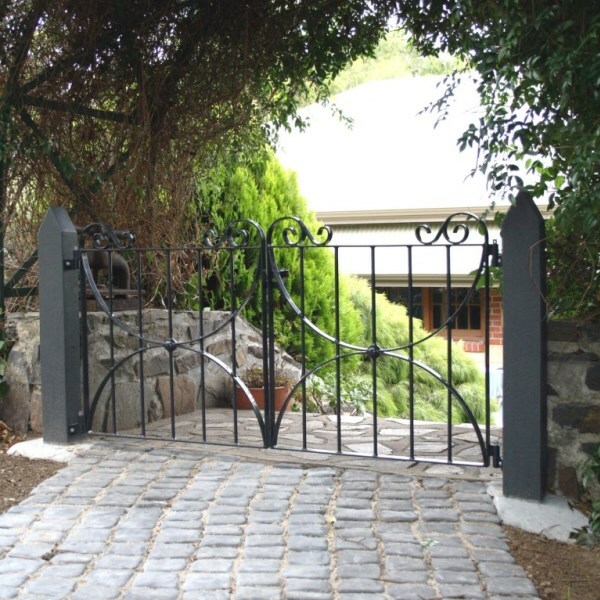 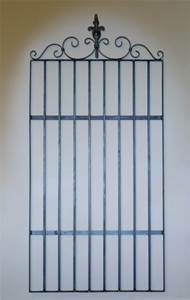 Wrought iron driveway gates are generally quite heavy because the bars and scrolls are solid steel. 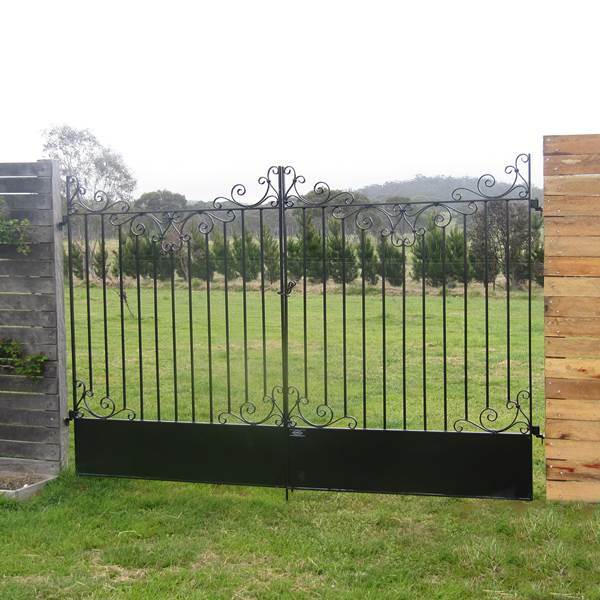 The hinging will need to be strong enough to support the weight of the gates. 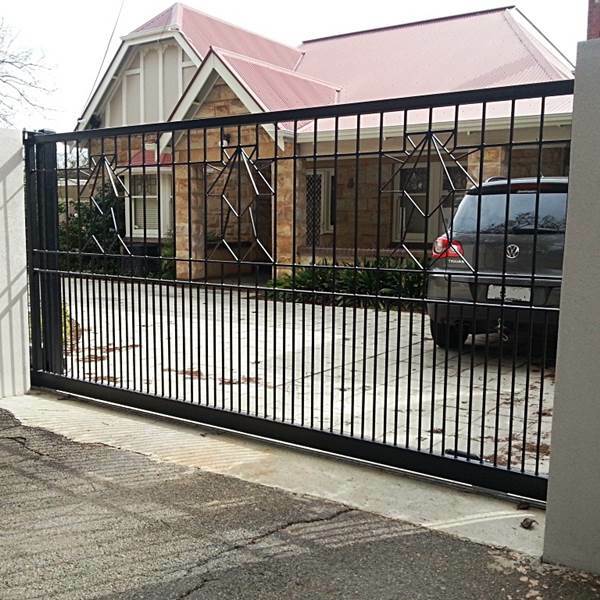 Please consult us BEFORE you start building pillars or installing posts so that we can make sure that what is being installed is strong enough for the gates. 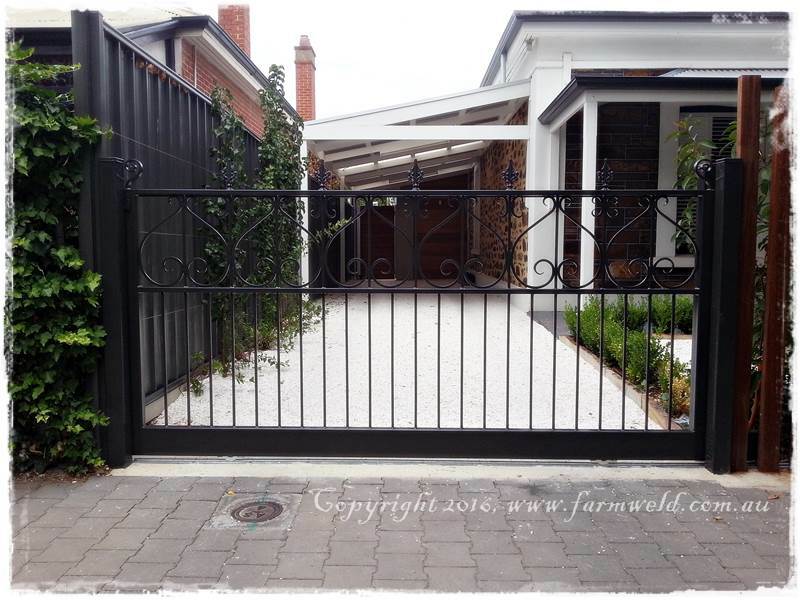 Garden gates are usually shorter than courtyard gates, at about 1.2m tall. 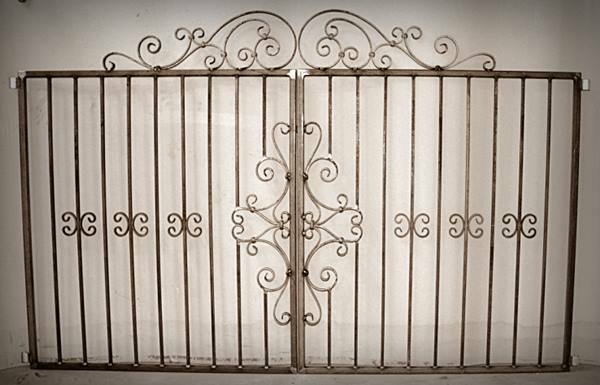 Due to popularity we’ve added a couple designs to our standard range. 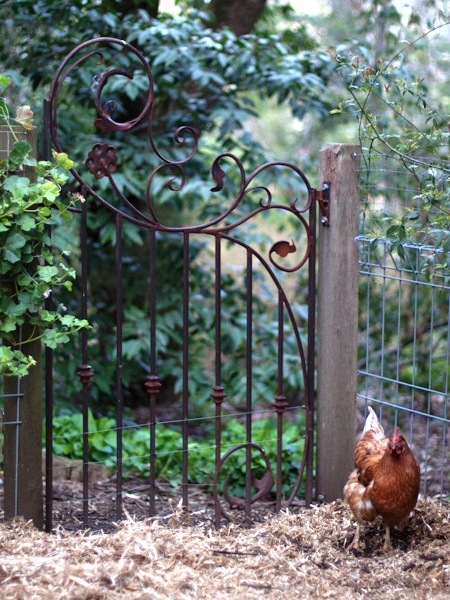 How to make the backyard chicken coop a focal point. 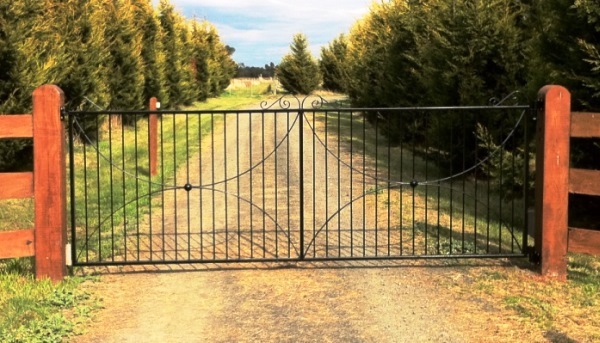 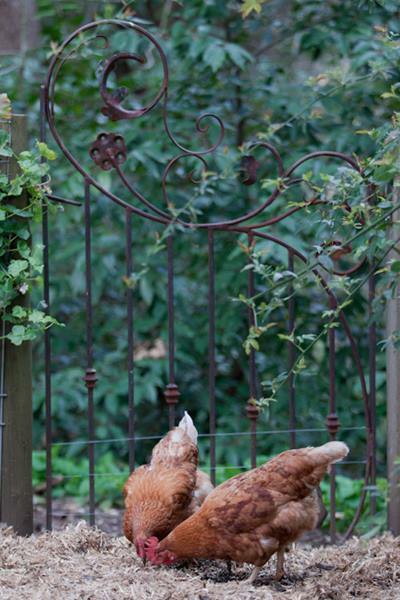 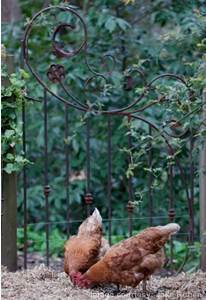 This gate is so popular it’s been dubbed the ‘chook gate’. 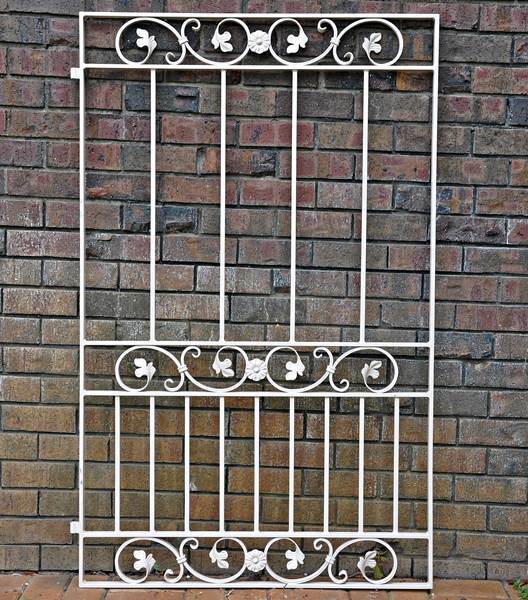 Do you want powder coating included in the price or just raw steel? 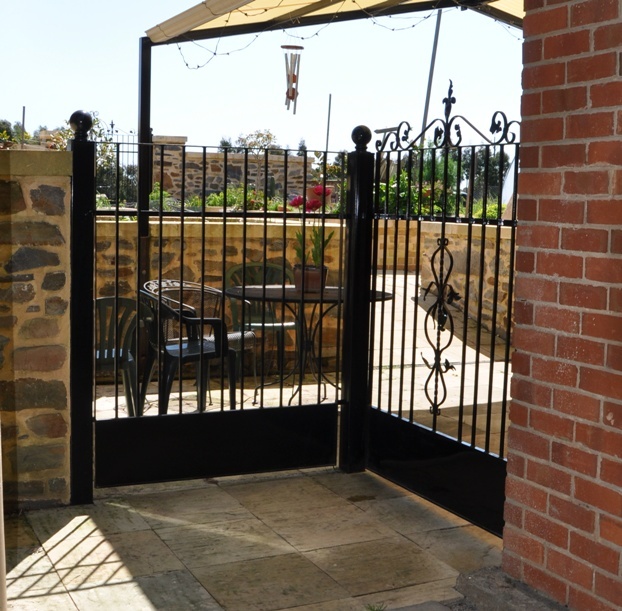 Whether you need delivery – town/suburb & postcode please. 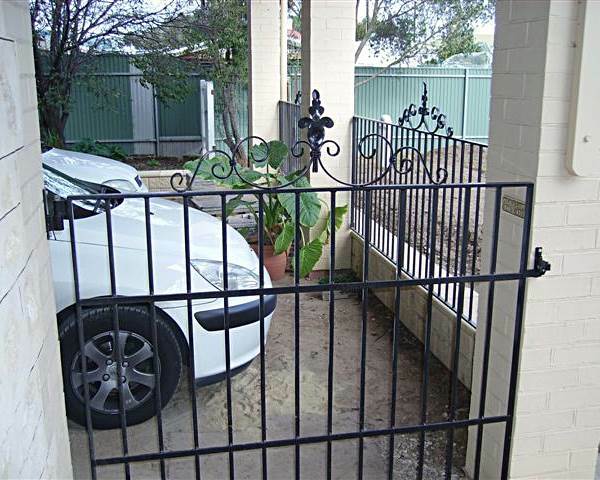 Interstate enquiries are welcome. 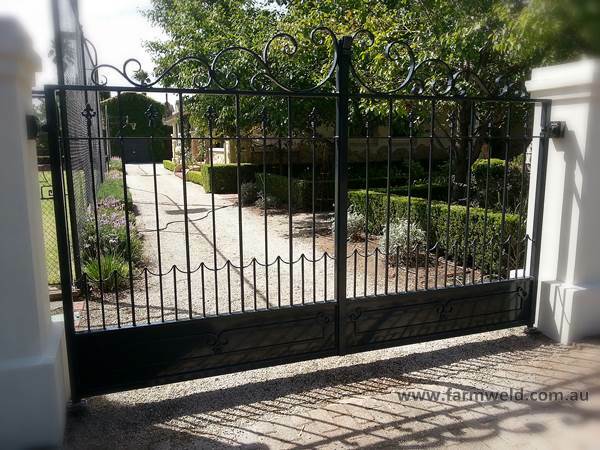 More than half of our orders go out of South Australia to Victoria, NSW, Qld, Tasmania, the ACT and WA in both regional and city areas.